At The Organic Mechanic we are constantly striving to offer environmentally conscious auto repair. This means working hard to comply with all EPA suggested standards, utilizing innovative procedures and challenging the traditional way of doing things. However, at the heart of our efforts remains our drive to ensure your car, truck or SUV is safe and reliable. Our Asheville auto shop is designed to service the latest models of Asian vehicles from top manufacturers. You can rely on our team of dedicated mechanics to keep you moving! From factory scheduled auto maintenance to engine rebuilds, we do it all. Give The Organic Mechanic a call today to request an appointment for expert Asian auto repair in Asheville. The most important safety feature of any vehicle is the brakes. If you ever experience strange grinding noises, odd vibrations or vehicle veering while trying to slow you car be sure to give us a call right away! Don't let the check engine light or other dashboard indicator lights scare you. 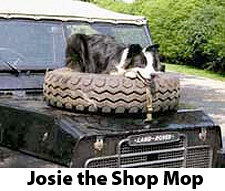 If one has come on bring your vehicle to The Organic Mechanic. We use modern equipment to identify issues, allowing for fast and accurate repairs.